The Blue Crane is one of the smaller cranes and it is the national bird of South Africa. Blue Crane males and females are similar but the male is slightly larger. 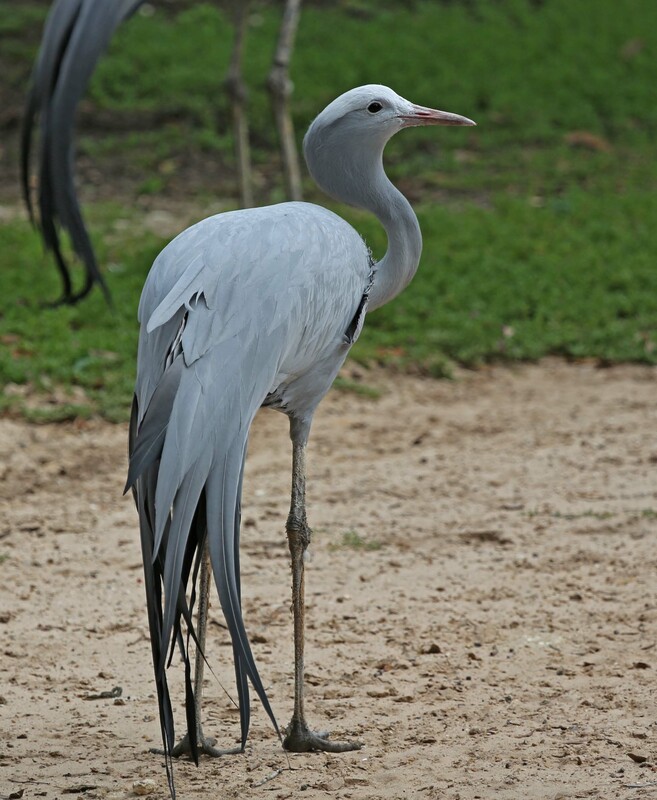 Their body is mostly bluish gray and their secondary wing feathers are very elongated and tipped black. 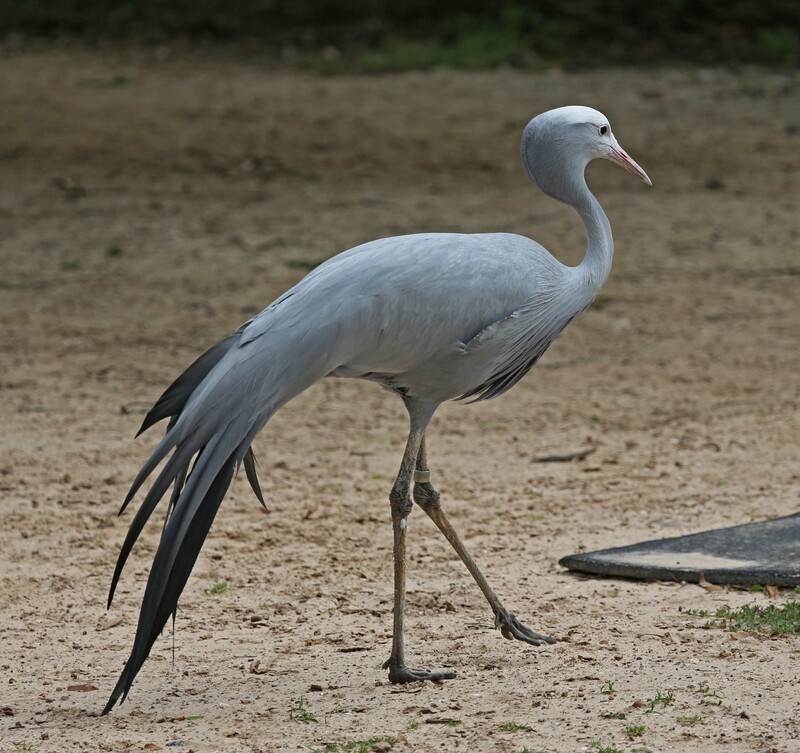 The arrangement of the feathers around the cheeks and neck give this crane a 'cobra' shaped head. The bill is short and they are one of the few cranes that don't have the red skin on their heads. The legs and feet are gray. The iris is dark brown and the legs and feet are gray. Juveniles are similar are slightly lighter and they do not have the elongated secondaries. 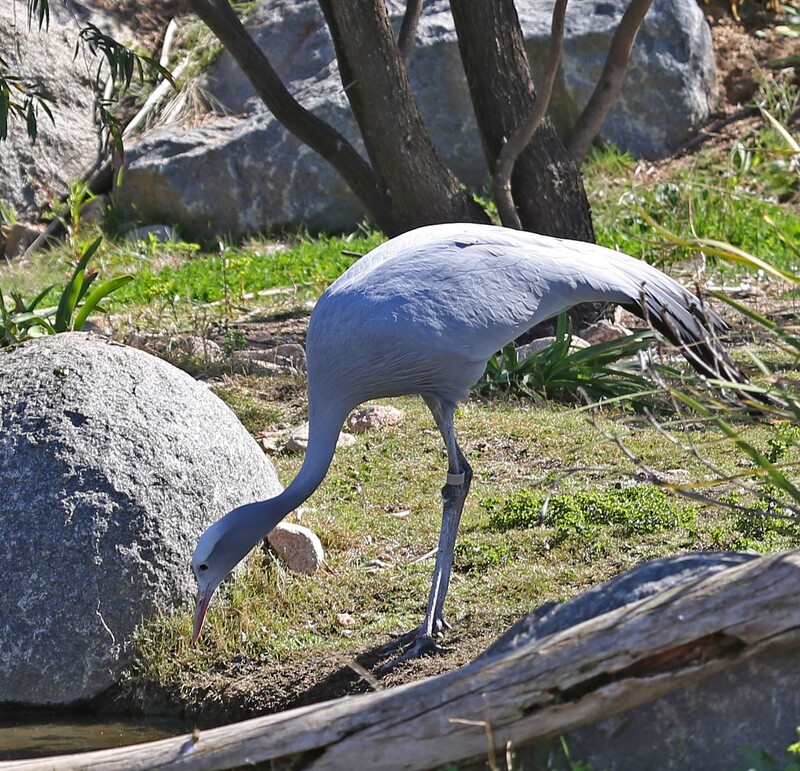 Diet: Blue Cranes are ground feeders and they will eat grasses, sedges and insects (e.g., grasshoppers), and small animals (snakes, crabs, snails, frogs, etc.). 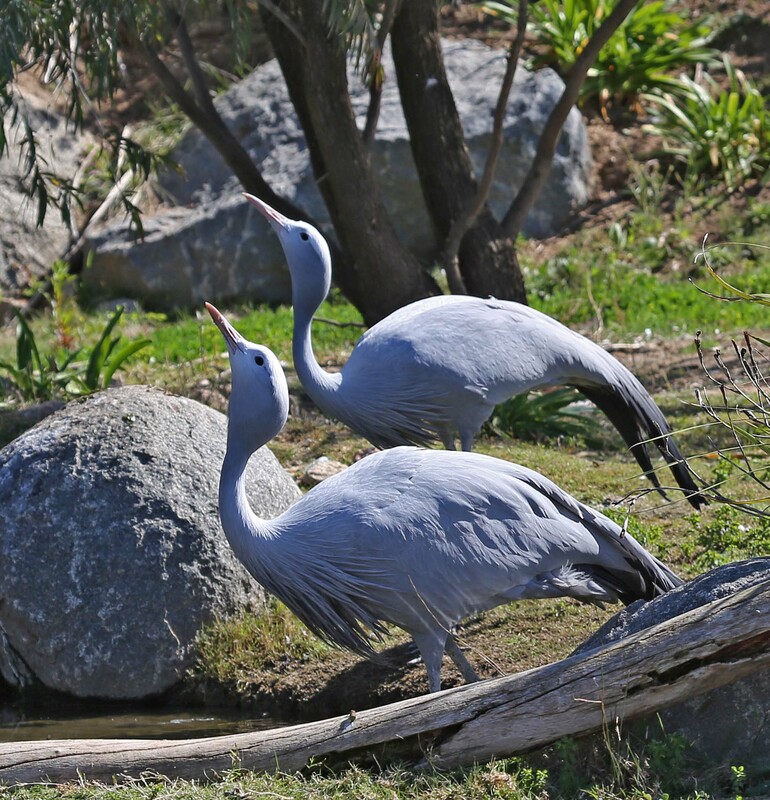 Courtship: Like other cranes, the Blue Crane mated pairs take part in 'unison' calling. 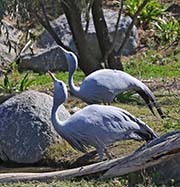 In the case of Blue Cranes, the male initiates this behavior and for each call he utters, the female responds with one call. During this calling, the male will lift his wings while the female keeps hers folded. 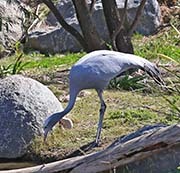 Nesting: Blue Cranes nest in wetlands, open grasslands and agriculture fields where visibility is good. Nests are usually on the ground and can be a scape lined with a few stones or vegetation. Both parents incubate the eggs and the male also defends the nest against danger. After hatching, the female primarily feeds the chicks regurgitated food. 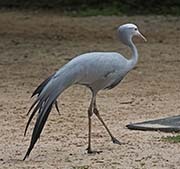 Habitat and Range: The Blue Crane is found in dry grasslands and other upland habitats. 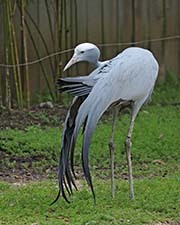 The Blue Crane population is almost totally found in South Africa. Plumage/Molt: Blue Cranes do not have an alternate plumage but they have a partial moult and a complete molt when they are flightless. Migration: They are not considered migratory. They can be nomadic in searching for water.